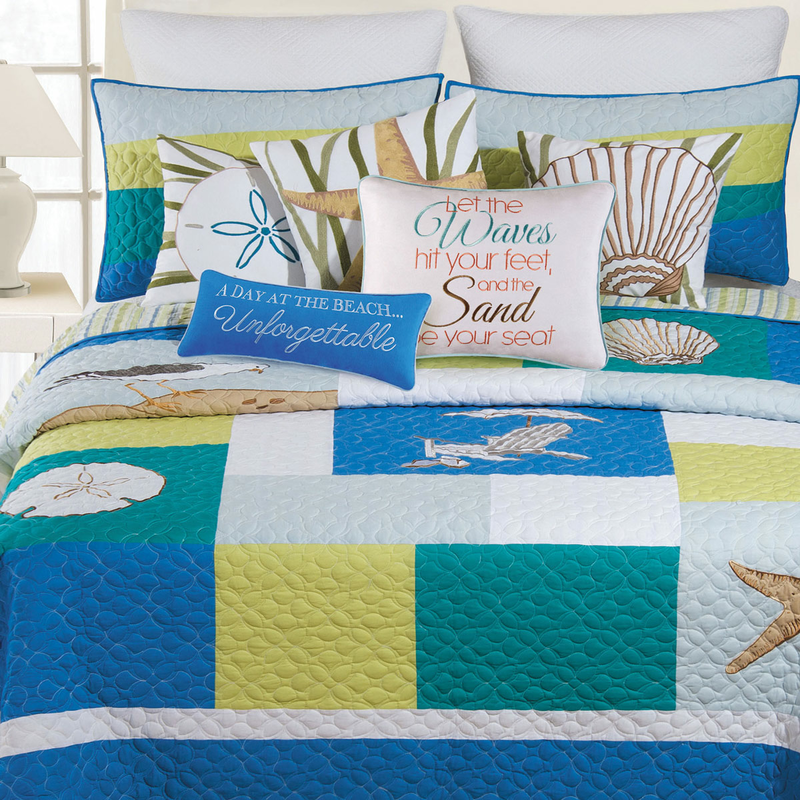 Showcase your beach-themed style with the Blue Oasis Full/Queen Quilt. These nautical quilts are designed with vibrant blocks of color with ripple-like stitching and sea life emblems with embroidered details. Ships from the manufacturer. Allow 1 to 2 weeks. Cannot express ship. In combination with our nautical quilts, we welcome you to consider a minute to take a look at our excellent selection of beach bedding right now.